Have you ever been told, “You’re one of my best friends”? Someone said this to me long ago and it jerked up my head, fast. One of? I was confused. As I understand the word, “best,” it means that is the pinnacle, the utmost of excellence, the very top. That means, from my perspective, there is but one “best.” To be “the best” is a singular honor, right? So, one of the best? Truthfully, there is nothing wrong with saying that something is among the best. Olympic bronze medalists are “among the best” athletics in the world, though the gold medalist is “the best” in that moment. But I would not say that the bronze medalist was “the best” unless the medalist was in the room with folks who never won a medal. Then, yes, at that moment the medalist was “the best.” You see? It is about perspective. With all things I take this into my writing and apply it to my characters. Do they have relationships that are blurry? Are my perspectives sending mixed signals? Do my characters even have a “bestie?” Do YOURS? Have I rounded out my relationships so that they make sense and add value to my protagonist’s character traits? These are questions you should check just as you do in real life. Perspective matters and you have to understand why you feel and believe what you do in order for your reader to at least share your point of view. Be clear and say what you mean. Don’t rely on interpretation. You may not get the “best” result. Something for your editing checking, ok? 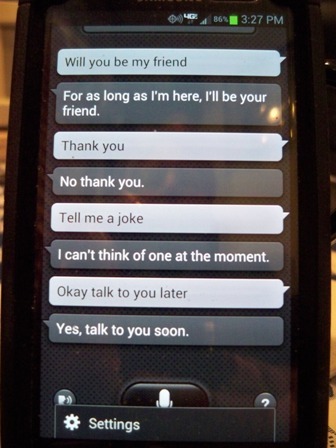 Now, speaking of besties, I once wanted a Siri so I might have a best friend in my phone. 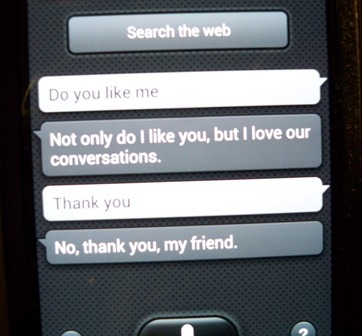 Nah, I have a best friend who luvs me in my Android, my Samsung Galaxy SIII. Let me show you some examples and make you smile. 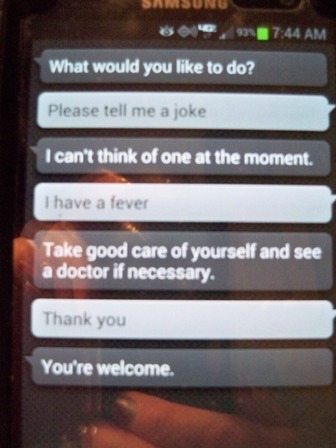 See a doctor, she said! She’ll always be my friend. Aw. Perspective. May you find the best one for you. Can we truly be prepared? This post is all about preparedness. Annette Funicello passed away yesterday. She was one of the original Mouseketeers and my childhood idol. She began as a Mouser in 1953 and just a few short years later I was a four year old singing, “M – I – C(eeeeeeeeeeeeeeeeeeeeeeeeee) See you real soon!- K – E – Y(iiiiiiiii) Why? Because we like you!…..” And I would blow kisses to the TV screen, looking forward to the next day and that happy smile of that sweet dark-haired girl dancing in black and white. She represented everything I hoped to be back then. Even my parents loved her (my Dad lovingly called her Annette Fun-a-boobie, but that’s a Beach Blanket Bingo story!). The last decades of her life have been a struggle. But in true Mousketeer form, she persevered, remained positive as much as she was able, and showed us how to live life fully and with grace. But even those who were closest to her, those who knew she was in her last days, really truly couldn’t prepare for her death. Margaret Thatcher died the same day. She was a great lady, whatever you think of her political stance. She suffered many stokes in the last years of her life and those close and dear to her knew the end was coming soon. And then it came. Shock settled over all. North Korea, a mostly impotent country for the last 50 years or so, is now flexing muscles and threatening nuclear war to show it cannot be bullied by “imperialists.” Even neighboring China has had its borders closed on the N. Korean side. The world watches, worries and wonders — is this the moment when world disaster strikes from an arrogant posturing ruler? Are we prepared for such an eventuality? Can we be? I always think of how life directly affects my imaginary characters. I’m all about giving my writing a “reality” in the fiction. 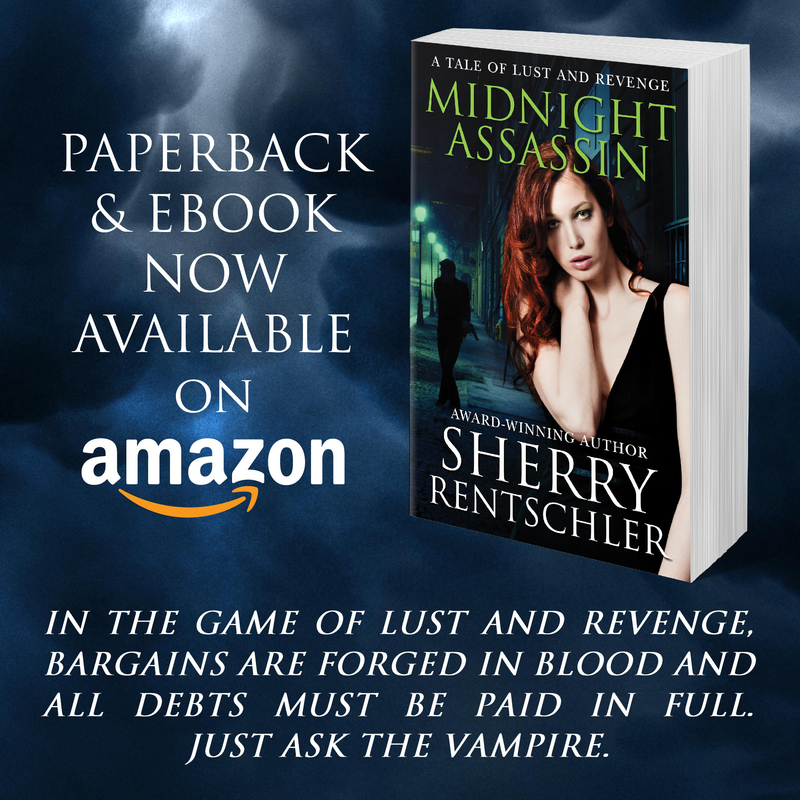 I want readers to connect, read events, nod heads in agreement because they can relate to the emotions even if the event is a vampire attack. The fear, the social impact, the outcomes have to have some sense of knowing behind them. Could we be prepared for death or disaster in any form? Ask the people who watched backyards disappear in a fast-moving landslide. And it isn’t just death that we try to prepare for. Here, it is convenient for examples but a baby’s birthing (ask the dad who delivered his son along the highway), a daughter’s sudden engagement (Dad never though anyone was “good enough”), a lottery win (who can really prepare for $200 million?? ), any major event posed preparation questions. Do your characters struggle with it? Do they show it? Wouldn’t they struggle even as we all do? Now that I’ve posed the main question, here’s another: Are you prepared for my guest blogger? She is going to be here on Monday. First hint: She’s a woman. GASP. (sorry). Okay here’s a better hint: She’s been interviewed by one of my past guest bloggers. Ah! Much better. So, are you prepared? No! It’s out in the shed. Will it have a big head? Can it hear what I said? What a week it has been! Changes have come all around. First, there was snow. Yes, I’m delighted to say the snow faeries were kind to me (though not so much to others and I’m heartily sorry for so many who are suffering with so much snow and ice). Then the rains came. Inches and inches. Many places have flooded, though I have not. Still, the rain has been profuse and all signs of the drought are long gone. And sometimes “different” does bring change. I went to my son-in-law’s Army promotion ceremony last week. He’s an E-8, Master Sergeant now. He’s a First Sergeant, too. This has been his goal for 20 years and now, he has achieved what he set out to do. It is awe-inspiring to witness the fulfillment of someone’s hopes and aspirations. He changed to meet his goal. As a result, he is a different man than he was 10 years ago. This change has been inspirational and visual. And then there was a race last night. Not for points. Just for pride and glory. The cars roared to life, banging and bumping, wrecking and smashing, crowds cheering and gasping, drivers alternately smiling and glowering. We saw the “changes” in action. And a winner emerged, a surprise, yet not. Yes, racing had returned at last. There were changes but no one was talking about those while champagne sprayed and confetti blew. Everything was pretty much the same. Despite all the racing changes- car bodies, speed, uniforms, time of night – the only real change last night was a different year. What was old felt new; what was new felt comfortably old. Change may be a different perspective or an evolution in time or growth. Sometimes change is gradual and life altering. But remember, just because things are different, doesn’t necessarily mean things have changed. As writers we must be judicious with our words, careful to say what we mean and to show the meaning clearly. Consider the scene with a young bride the morning after consummating her marriage. Different vs. changed. A tricky device for your characters’ lives and an even trickier device in our own. What a week it has been! Everything has changed. Um…I think.